Until a week ago, it was believed that Distributed denial-of-service(DDOS) attack against Spamhaus is the largest one in the history. Now, an even bigger DDOS attack has been recorded by the Content delivery Network CloudFlare. 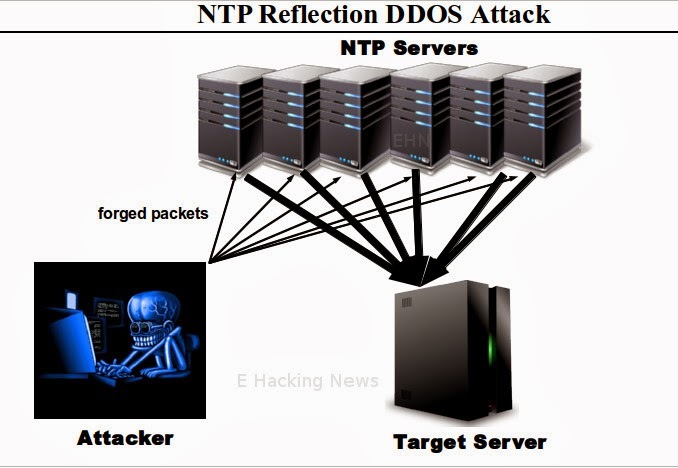 Matthew Prince, CloudFlare CEO, said in twitter that very big NTP reflection attack was hitting them and appears to be bigger than the Spamhaus attack from last year. According to Matthew, the attack reached 400Gbps which is 100Gbps higher than the ddos attack targeting Spamhaus. CloudFlare said all websites have returned to production. Founder of a French hosting firm OVH also said their network received more than 350Gbps traffic, but it is not clear whether it is related or not. Last month, CloudFlare also wrote an article detailing about the Network Time protocol(NTP) based DDOS attacks that caused trouble for some gaming web sites and service providers. NTP protocol is UDP-based protocol runs on port 123 which is used by Internet connected computers to set clocks accurately. A system will synchronize with the server and receives the current time. Experts says this protocol is prone to amplification attacks because it will response to the packets with spoofed source IP address "and because at least one of its built in commands will send a long reply to a short request. That makes it ideal as a DDoS tool." List of open NTP servers on the Internet allows attackers to launch Denial of attack against any target network.